Did you win a prize? Check your tickets carefully. RALEIGH, N.C. (WTVD) -- NC Education Lottery officials said they're ready in case someone does win the big prize here. Tuesday's winning numbers for the Mega Millions are 5-28-62-65-70. The Mega Ball is 5. "We are prepped for the moment," said Kathleen Jacob, public information officer for the NC Education Lottery. "Once we get word we have a winner, we'll make sure we have our security team in place, verify where the ticket was sold." Jacob said only billboard signs could move to the "billion" dollar mark that was the number Tuesday night. Players can claim winnings of $600 or fewer at any retailer; from $600 to $99,999, players have to claim winnings at a claim center; if it's more than $100,000, lottery officials roll out the red carpet. The massive $1.6 billion Mega Millions jackpot and $620 million Powerball jackpot are driving up ticket sales even more at Bilboa Food Mart in Durham. "I'm waiting on the big money that's why I'm playing," said Abigail Martin, who bought several tickets at Eagle's Express in Knightdale on NC-64. "I know we gonna win something. Maybe not all but some of it." 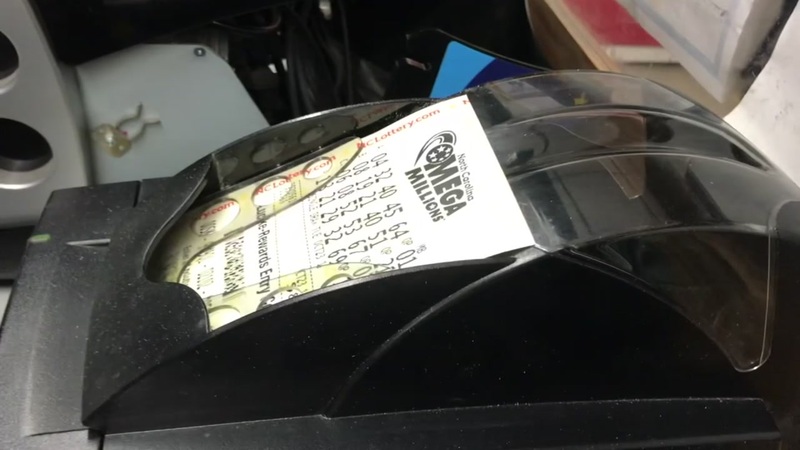 NC Education lottery officials urge everyone to check your tickets carefully: you don't want to throw away a ticket that has a smaller prize because there are nine ways to win. If there's no winner Tuesday, the jackpot could go up to $2 billion.